Back in late 2010, the Army Corps of Engineers inadvertently posted information about Northcom’s CONPLAN 3502, included within information about a FEMA-simulated earthquake drill called National Level Exercise 2011. 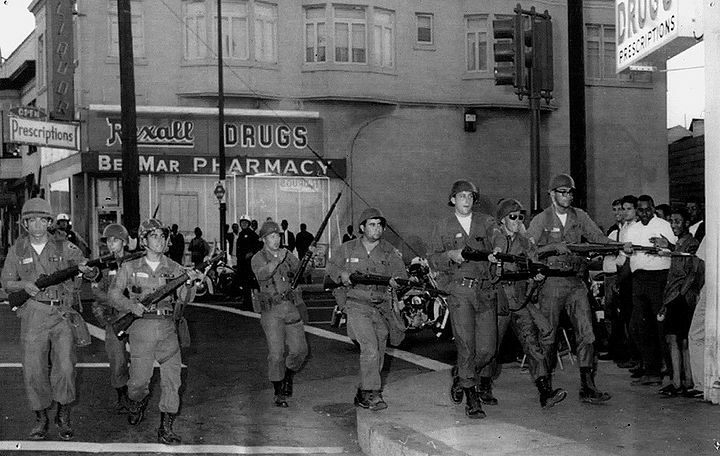 Operation Garden Plot was established under the cover of race riots in the 1960s. The documents reveal how a secret Pentagon Civil Disturbance Operations plan calls for military-operated detention and search operations within the United States. It is mentioned in a Defense Support of Civil Authorities (DSCA) Handbook that was prepared by the Army’s Joint Test and Evaluation Command. It was also mentioned by General Victor E. Renuart, Northcom commander, in testimony before the House Armed Services Committee’s subcommittee on Terrorism and Unconventional Threats and Capabilities on March 5, 2008. More information can be found here. IndyMedia provided extrensive coverage, not that the New York Times or the Washington Post noticed. The establishment press was uniformly silent. CONPLAN 3502 surfaced again this week as the Brits scrambled to confront riots sweeping their country. “With British Prime Minister David Cameron authorizing the use of rubber bullets and water canons in wake of the turbulent London riots spreading through Britain, questions have been raised about how authorities in the U.S. would respond to a similar domestic disturbance threatening the nation’s stability,” writes John Hudson for the Atlantic Wire. The Brits may be scratching their heads, but the feds over here in the states have had plans in place for decades to deal with civil unrest. Following the riots of the 1960s, the U.S. Army and National Guard devised Operation Garden Plot. Infowars.com reported the posting of several declassified documents detailing on Operation Garden Plot back in 2009. Garden Plot still exists and is now under the operational command of Northcom. It was last activated during the attacks of September 11, 2001, and also became operational during the 1992 Los Angeles riots. Garden Plot is a sub program of Rex 84, short for Readiness Exercise 1984, that established an undisclosed number of concentration camps in America for the internment of dissidents and other elements considered enemies of the state. It was first revealed during the Iran-Contra Hearings in 1987, and subsequently reported upon by the Miami Herald on July 5, 1987, so it is not a conspiracy theory.